It's one of many big questions surrounding the Nebraska football program this fall: Who will be the offensive and defensive vocal leaders? Defensive coordinator Erik Chinander addressed it on his end a few times during spring football. Senior defensive lineman Mick Stoltenberg was the early favorite to be the defenses' vocal leader. He still is. But with Stoltenberg sidelined with an injury this past spring, Chinander wanted someone else to speak up on the field in his place. Now healthy, Stoltenberg is poised to be that guy for coach Scott Frost and Chinander. There's something to be said about Stoltenberg, wide receiver Stanley Morgan Jr. and offensive lineman Jerald Foster being selected to represent Nebraska in Chicago for Big Ten Media Days. The three seniors have a lot of potential to be leaders at their respective positions. They have potential to be leaders beyond that, too. 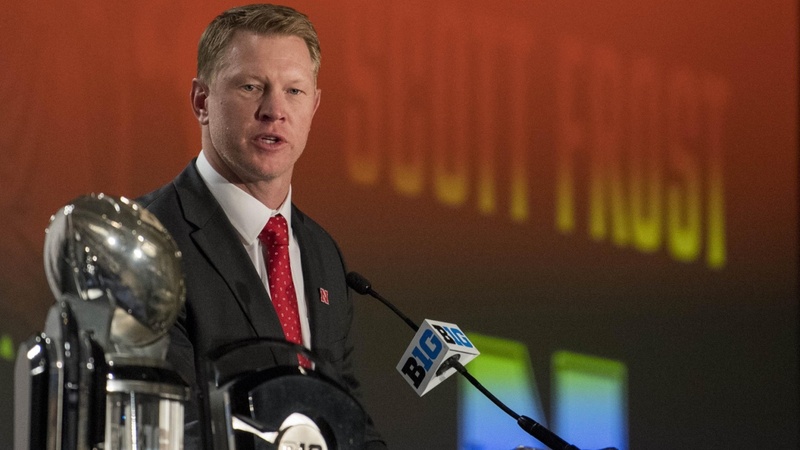 "One of the hardest things to do as a player is to have the courage to fix other people and hold them accountable to the standard they want," Frost said at Big Ten Media Days. "It's not comfortable for someone to tell someone else, 'You're not doing [it] right. You're doing it wrong.' That environment helps us kind of get the kids comfortable with speaking up and fixing things when someone isn't doing something they're supposed to do." While Stoltenberg has been comfortable in that role already, Morgan has found himself growing into it. He's always been a leader, but he's working to evolve how he leads his teammates. "I was the kind of leader who just led by example," Morgan said. "Grind, grind, grind, but I'm not really going to say too much. But I'm taking a couple guys with me each week now. Getting this guy to do this. Getting this guy motivated to do that. "So it's more vocal from me now." Frost didn't know a lot about Morgan prior to being hired. He got to know him a bit through the spring, but the plane ride to Chicago provided the perfect opportunity to chat. The two talked about Morgan's few offers out of high school, and how he wasn't all that fast. Hearing that shocked Frost. "He can really run," Frost said. "He's got the quickness, the explosiveness, the hands, the speed. Hes got all the tools it takes to be a really good player and we're going to try to put him in the right situations to highlight that." Aside from the talent, Stanley also has the love for football that impresses Frost. "I think Stanley's best asset is his passion for the game," Frost said. "I've coached a few guys like that when they take the field for practice, they're smiling and happy. He's in his happy place when he's playing football. Football is hard if you don't have that kind of passion. It's hard to be great. Stanley's got the passion." Frost now hopes that passion transforms into something more. Could it make Morgan the face of the 2018 Nebraska football team? Maybe, but the staff isn't willing to force anything. "As a staff, we don't try to highlight anyone as the face of the program," Frost said. "That happens when they become great players, great leaders and great teammates. Stanley's been a great teammate since we've been [here]. He's done everything we've asked him to do. He's arguably our most talented player. If we can get him the ball, I'm sure he may become one of the faces of the program because of his play." So keep an eye on players like Morgan, Stoltenberg and Foster. They were sent to Chicago for a reason. Are they the faces of the program? Not yet, but time and hard work could easily change that.